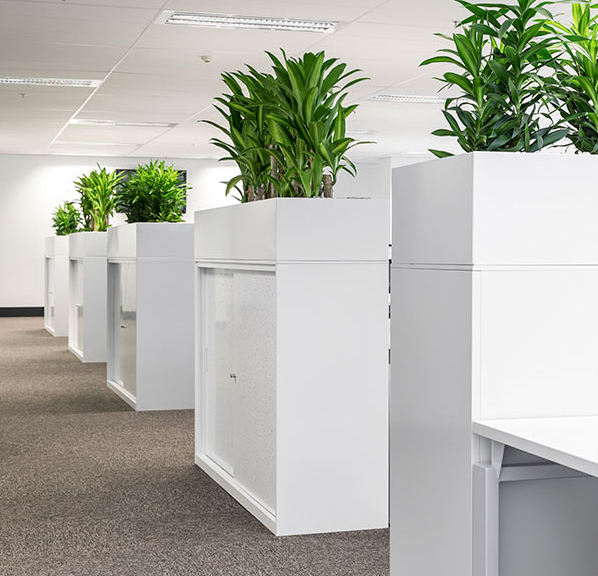 Seeking a space to run their national HQ, Stratosphere Advertising required an environment that encapsulated creativity, professionalism and innovation. 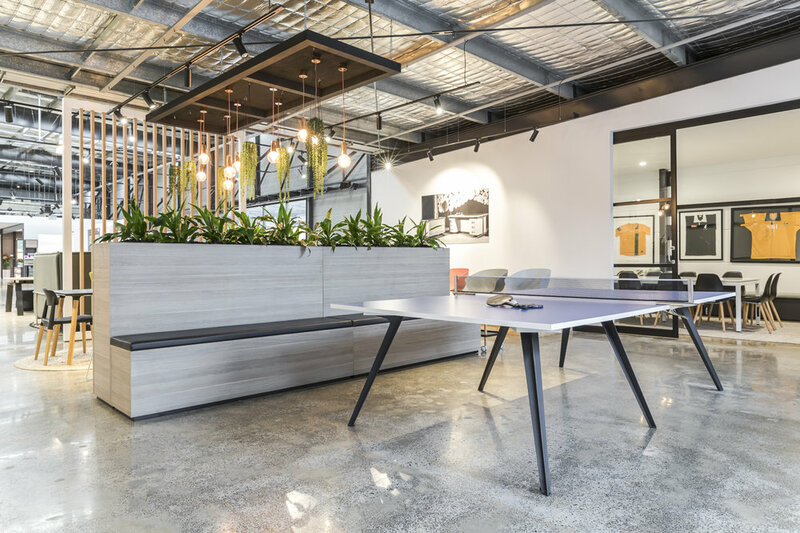 Drawing inspiration from a neutral industrial palette we worked with Stratosphere to create a workspace that possesses all the qualities that a growing, fast paced company requires to succeed. 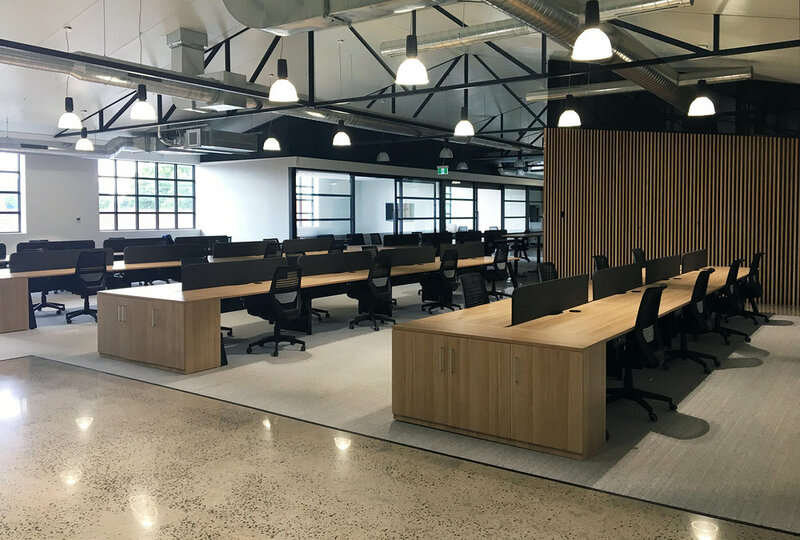 Utlising the generous office space, the area was filled with runs of our Keywork workstations, perfectly paired with Local screens, Space chairs and wood grain Universal hinge door units. 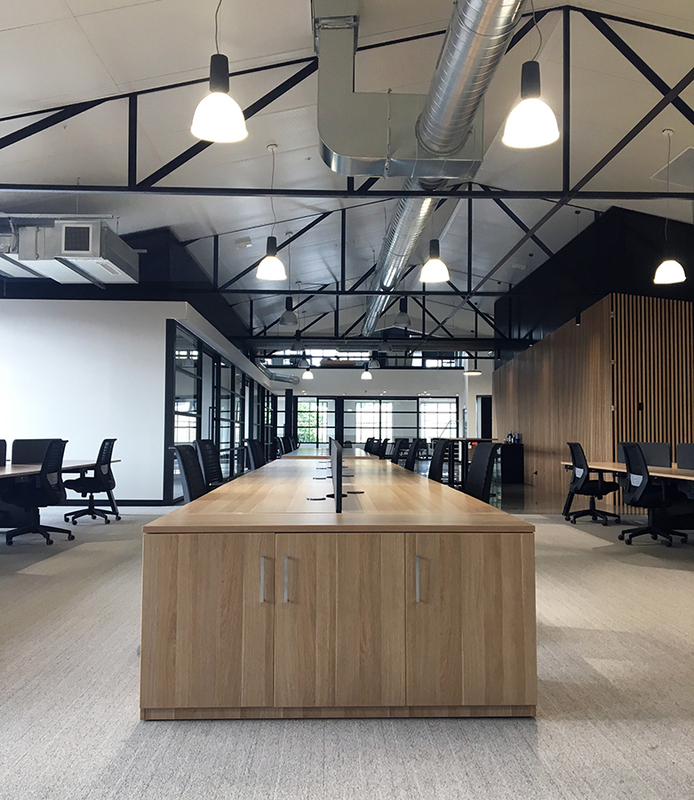 The finished result of the open office is nothing short of impressive with its standout wood grain features, exposed ceiling beams, industrial style lights and mix of flooring finishes. 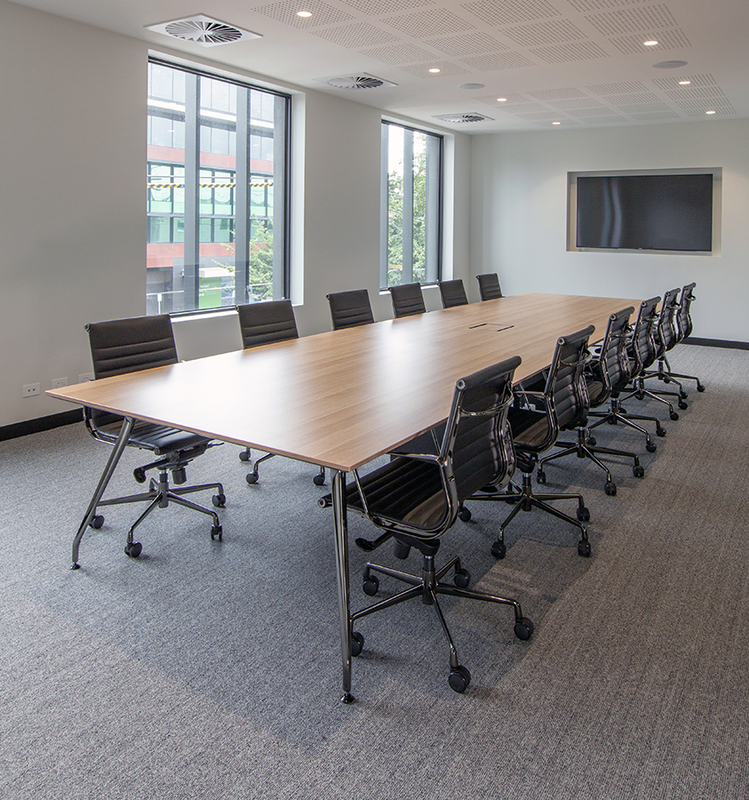 The light-filled boardroom hosts a Velo table and Sax chairs in a colour selection that tied in with the rest of the workspace whilst meeting rooms featured Dart tables with some fun Tang chairs. 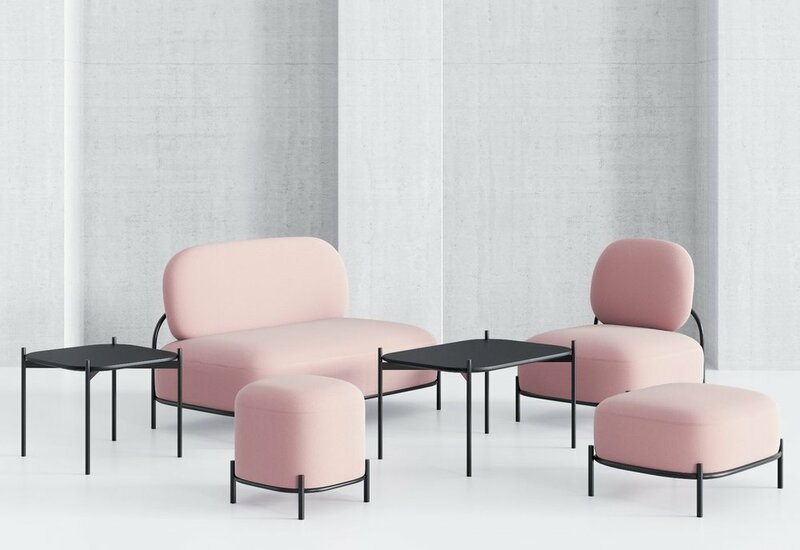 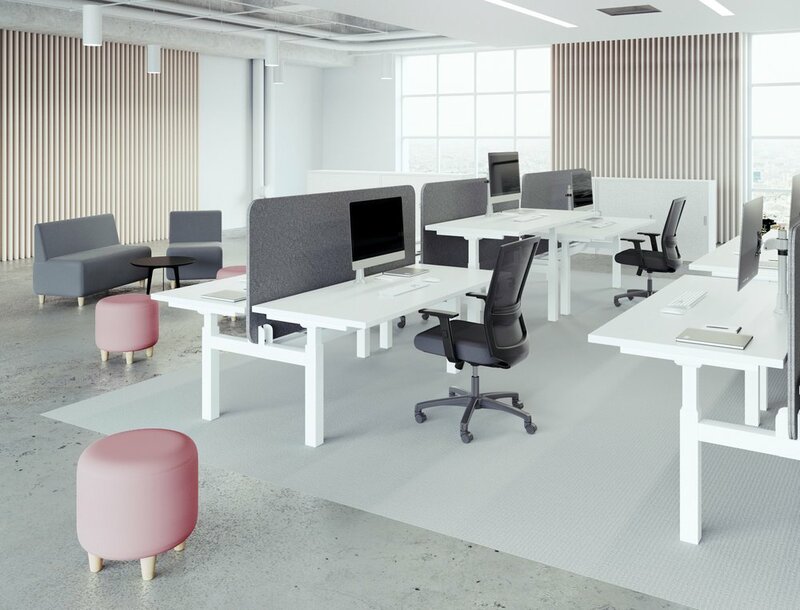 From open working areas, to boardrooms, breakout spaces and executive offices alike – every space has been carefully planned to create a a fun, cohesive and supremely functional workspace.